Set of horn and glass trial lenses. 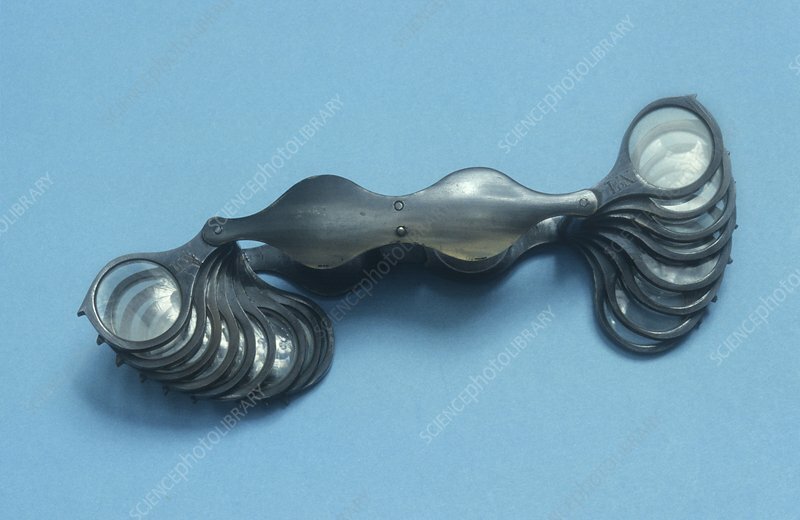 These were used for eye testing. The earliest reference to optometry was by English friar, Roger Bacon (1214-1292) who in 1263 described the use of lenses for those with weak eyes. These are English and date from around 1870.